Our FREE, all-day conference features several panels of attorneys and judges, a law student panel, and an interactive mock law class component. 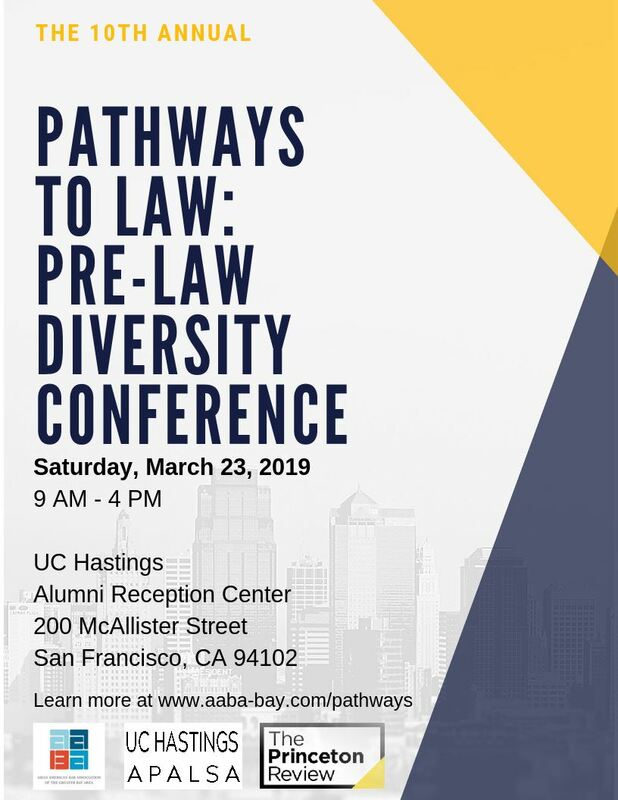 The conference is hosted by the Asian American Bar Association of the Greater Bay Area and typically co-sponsored by Bay Area law schools, minority bar associations, and other organizations in the community. Students from all backgrounds, their families, and educators are welcome. We hope you'll join us for our next conference! Join us for our 2019 prelaw conference! Please follow us through this website, our social media pages, or email us at AABAPathways@gmail.com. Keith Fong: ​Career Law Clerk to the Hon. Saundra Brown Armstrong, U.S. District Court, N.D. Cal. Marie Ma: Associate General Counsel, Gap Inc.